Country Kitchen Ideas - Which? Plan your perfect country kitchen with our design ideas for a total kitchen transformation or small updates that will have a big impact. 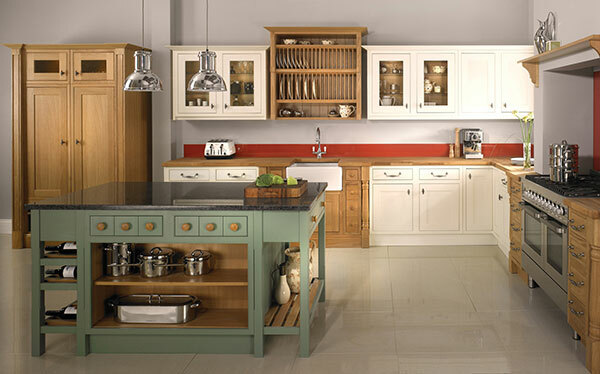 A country-style kitchen is a timeless classic and can suit a wide range of homes. Find out how you can design your own. Whether you're after inspiration for a new kitchen or ways to update your current kitchen to create a country look, flick through our gallery for design ideas. The kitchens shown are from Wickes, Homebase, Betta Living, Wren Kitchens, Howdens Joinery, John Lewis, Benchmarx and Ikea (in order shown). See how some of these brands were rated in our guide to the best kitchen brands - the top brand earned a customer score of 90%, while the bottom one scored only 56%. Shaker kitchens go hand-in-hand with a country style. 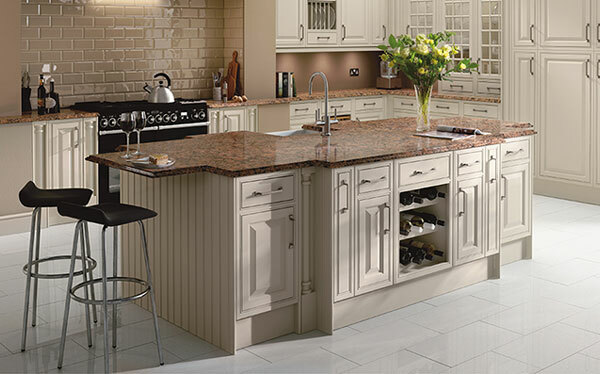 Kitchen islands add a luxurious feel to a country kitchen. A rustic, wooden kitchen instantly gives a kitchen a country look. A Belfast sink is a great way to inject a country feel into your kitchen. 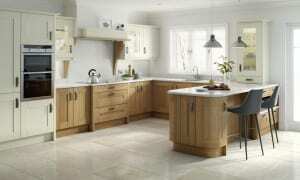 Tiles or wood flooring are a great way to bring country style to a kitchen. 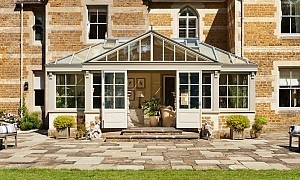 Mix and match paint colours in pale shades for a relaxed country feel. 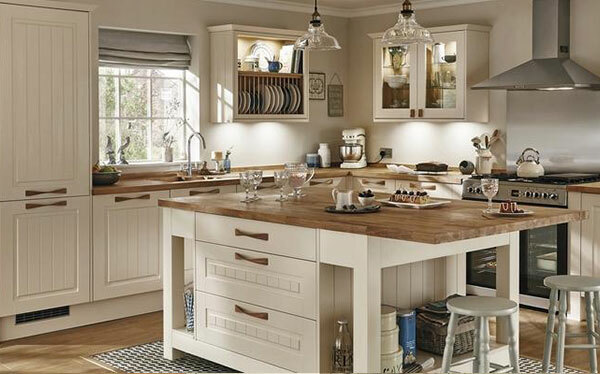 Wooden worktops, from oak to beech, add country charm to a kitchen. Patterned, pastel or textured wall tiles can cheaply create a country look. A typical country kitchen wouldn't be complete without a range cooker. Old beams are a gorgeous focal point in a country kitchen. Simple, unpretentious design and a focus on craftsmanship have ensured that Shaker-style kitchens have stood the test of time. They are characteristically country in style, with framed, real-wood cabinetry, natural materials and neutral or muted paint colours, but their unassuming style means they are just as suited to modern homes as traditional, old properties. Islands are a staple of the farmhouse kitchen. If you have the space, they can be a great way to maximise practical storage and worksurfaces, as they can house storage for appliances as well as creating an open space to prepare food. To avoid feeling crowded, they will need enough room for you to walk comfortably around all four sides. Take a look at our guide to common kitchen layouts for more ideas. From beech wood for a light look, to walnut for a darker feel, most country-style kitchens will include wooden surfaces and fittings. Solid wood kitchens are expensive to buy and maintain, but wood veneer or wood-effect laminate are more affordable options. 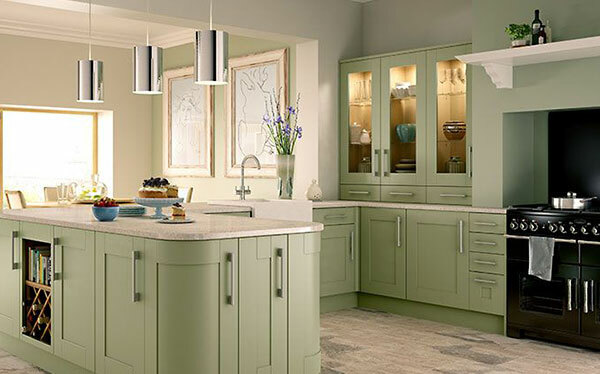 Our page on kitchen units, doors and worktops has more advice on the different materials available, and reveals which surfaces kitchen owners have rated better for standing the test of time. New fittings, such as door handles, knobs and taps, are an inexpensive way to update your kitchen. For a country kitchen look, opt for simple, vintage-style fittings in brushed metallic finishes. Depending on what you want, fittings such as door handles can cost as little as £2 for a pack of two, and instantly refresh your space. A large, Belfast sink is an iconic country kitchen feature, and likely to set you back at least £100, but you may find one cheaper second hand at scrap yards or antique shops. Real stone tiles, like terracotta, travertine or slate, will give your kitchen a country feel, but they can be expensive, starting at around £15 per square metre. On the other hand, tile or stone-effect vinyl and laminate flooring can cost as little as £5 per square metre and improvements in their technology means that both have become much more realistic in recent years. Wood flooring is also a great option for a country feel. 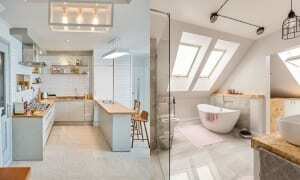 Combine it with tiles to add more interest, or lay it in a herringbone pattern for a more up-to-date look. Our guide to buying and fitting wood flooring gives you more details. Painting your kitchen units is a quick, cheap way to update your kitchen. If you're looking to emulate the country look, go for a neutral base in warm, creamy tones and add accents of natural, cheerful colours like forest greens, sunshine yellows, cornflower blues or strawberry reds. For a muted, Shaker style, stick to pastel hues such as mint green, pale sky blue or soft pink. If creating a country kitchen from scratch is more than you can afford, new worktops, particularly wooden ones, will add that country feel. Our page on kitchen costs has more information on how much it costs to replace and repair tired, old worksurfaces. Tiles are a cheap way to bring country style into your kitchen, and can start from as little as 50p each. 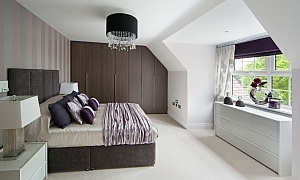 There are a huge range of finishes, colours and textures to choose from, so you're bound to find a style to suit you. See our kitchen design ideas for more inexpensive ways to transform your kitchen. We've tested and reviewed more than 100 range cookers, assessing all the elements you can't weigh up yourself in the shop, such as how well they cook and how much energy they use. Our range cooker buying guides also help you pick the best one. If you haven't got the space or budget for a full range cooker, you could choose one of the increasing number of 60cm mini range cookers instead. These combine the good looks of a range cooker with a smaller footprint. We've tested and reviewed the latest models in our freestanding cooker reviews section. If you do live in an older property and are lucky enough to have any original features in your kitchen, such as beams or a fireplace, make the most of them by turning them into a focal point for your country kitchen scheme. Want to know the best and worst kitchen brands? 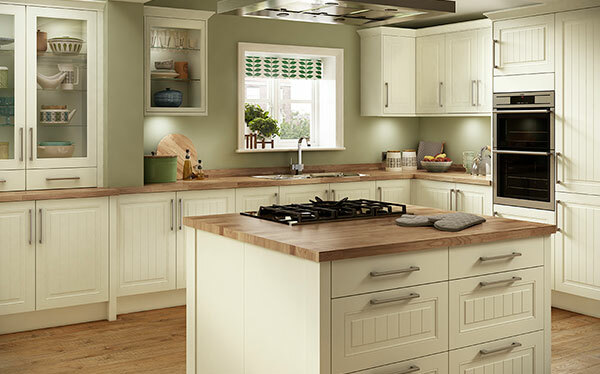 Find out which brand was rated highest by its customers in our fitted kitchens guide.